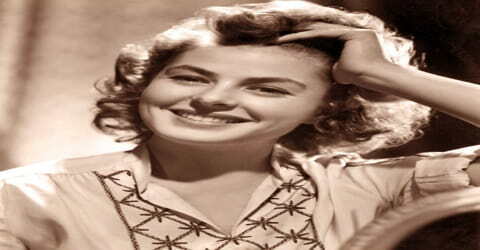 Ingrid Bergman – Swedish actress. 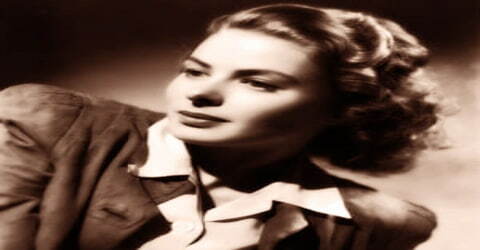 Ingrid Bergman (an Academy award winning Swedish actress), was born on 29 August 1915 in Stockholm, to a Swedish father, Justus Samuel Bergman, and his German wife, Friedel Henrietta Augusta Louise (née Adler) Bergman, who was born in Kiel. Her parents married in Hamburg in 1907. She was named after Princess Ingrid of Sweden. 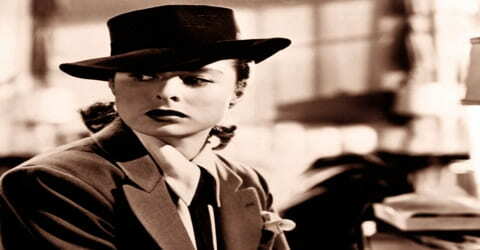 Her introduction to American audiences came with her starring role in the English-language remake of Intermezzo (1939). A much sought after star in Hollywood during the 1940s, she had been a successful actress in Swedish films before starring in American films. As an actress, she was known for her punctuality and dedication towards her work. Unlike many of her contemporaries, Bergman was not known to wear much make-up or dress in expensive and elaborate attires. Born in Stockholm, Sweden, she had a very difficult childhood having lost both her parents when she was just a child. Even though shy as a youngster, she developed an interest in acting and enrolled at the Royal Dramatic Theater School to hone her acting skills. She excelled at the school and landed her first film role after just a year. She began her acting career as an extra and quickly graduated to more prominent roles. At her insistence, producer David O. Selznick agreed not to sign her to a contract for four films, rather than the then-standard seven-year period, also at her insistence until after Intermezzo had been released. Selznick’s financial problems meant that Bergman was often loaned to other studios. Apart from Casablanca, her performances from this period include Victor Fleming’s remake of Dr. Jekyll and Mr. Hyde (1941), For Whom the Bell Tolls (1943), Gaslight (1944) and The Bells of St. Mary’s (1945). Her last films for Selznick were Alfred Hitchcock’s Spellbound (1945) and Notorious (1946). 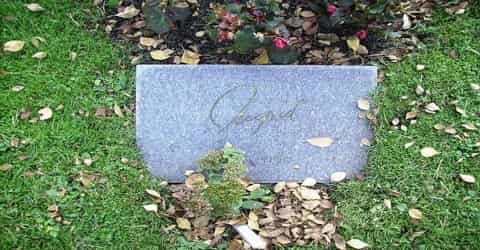 Her final film for Hitchcock was Under Capricorn (1949). 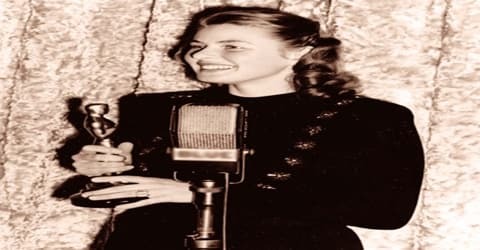 Thus she ventured into Hollywood and went on to have a highly successful career over the course of which she won three Academy Awards, two Emmy Awards, and four Golden Globe Awards. After a decade in American films, she starred in Roberto Rossellini’s Stromboli (1950), following the revelation that she was having an extramarital affair with the director. The affair and then marriage with Rossellini created a scandal in the U.S. that forced her to remain in Europe for several years, after which she made a successful return to working for a Hollywood studio in Anastasia (1956), for which she won her second Academy Award. Although she made many films for Hollywood studios in subsequent years, they were all made in Europe, and she did not film in Hollywood again until 1969. According to the St. James Encyclopedia of Popular Culture, Bergman quickly became “the ideal of American womanhood” and a contender for Hollywood’s greatest leading actress. In the United States, she is considered to have brought a “Nordic freshness and vitality” to the screen, along with exceptional beauty and intelligence; David O. Selznick once called her “the most completely conscientious actress” he had ever worked with. In 1999, the American Film Institute ranked Bergman as the fourth-greatest female screen legend of classic American cinema. 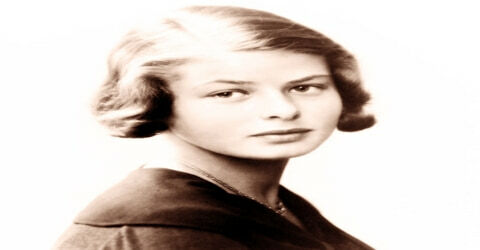 Ingrid Bergman was born on 29 August 1915 in Stockholm, to a Swedish father, Justus Bergman, and his German wife, Frieda. Her father was an artist and photographer who documented all her birthdays. She mainly grew up in Sweden, but spent the summers in Germany, and spoke fluent German. When she was two years old, her mother died. Her father, who was an artist and photographer, died when she was 13. In the years before he died, he wanted her to become an opera star and had her take voice lessons for three years. But she always “knew from the beginning that she wanted to be an actress”, sometimes wearing her mother’s clothes and staging plays in her father’s empty studio. After his death, she was sent to live with an aunt, who died of heart disease only six months later. She then moved in with her Aunt Hulda and Uncle Otto, who had five children. She received her primary education from private schools. As a young girl, she developed an interest in acting and performed regularly in her school plays. She received a scholarship to the state-sponsored Royal Dramatic Theatre School in the 1930s. Later, she received a scholarship to the state-sponsored Royal Dramatic Theatre School, where Greta Garbo had some years earlier earned a similar scholarship. After several months, she was given a part in a new play, Ett Brott (A Crime), written by Sigfrid Siwertz. Chandler (biographer) notes that this was “totally against procedure” at the school, where girls were expected to complete three years of study before getting such acting roles. She excelled at the school and proved herself to be a naturally talented actress. She received prominent roles in plays within one year of her joining. She was hired by a Swedish film studio during her first summer break and left the theatre to embark on a full-time acting career. In 1937, at the age of 21, Ingrid Bergman married dentist Petter Aron Lindström (later to become a neurosurgeon); the couple had a daughter, Friedel Pia Lindström (born 20 September 1938). After returning to the United States in 1940, she acted on Broadway before continuing to do films in Hollywood. She developed an affair with Italian director Roberto Rossellini while still being married to Lindström and even gave birth to Rossellini’s child. Following the birth of this child, she divorced Lindström in 1950 and married Rossellini in Mexico. She had two more children with Rossellini before divorcing him in 1957. Ingrid would marry Lars Schmidt in 1958, a theatrical entrepreneur from a wealthy Swedish shipping family. Curiously, while vacationing with Lars in Monte Gordo beach (Algarve region, Portugal) in 1963, right after recording the TV movie “Hedda Gabler”, Ingrid got ticketed for wearing a bikini that showed too much according to the modesty standards of conservative Portugal. After almost two decades of marriage, Ingrid and Lars divorced in 1975. Bergman was a Lutheran once saying of herself, “I’m tall, Swedish and Lutheran”. In 1934, Ingrid made her film debut in Monkbrogreven. Bergman soon landed more movie roles in her native Sweden, including the 1936 romantic drama Intermezzo. She went on to act in a dozen films in Sweden, including En kvinnas ansikte, which was later remade as A Woman’s Face with Joan Crawford, and one film in Germany, Die vier Gesellen (The Four Companions) (1938). In 1936, Ingrid appeared in the romantic drama ‘Intermezzo’. Her brilliant performance in the film caught the attention of American film producer David O. Selznick who hired her to star in the English language remake of the film. After seeing Ingrid Bergman in Intermezzo, American film producer David O. Selznick hired her to star in the English language remake of the film. Following this film’s successful release in 1939, Selznick signed Bergman to a multiyear contract. She made a stop on Broadway before tackling Hollywood, appearing in a 1940 production of Liliom. Initially, she was not much confident as she was not fluent in English. But the film went on to become a commercial as well as critical success, and this gave Ingrid the confidence to stay in Hollywood. ‘Intermezzo’ became an enormous success and as a result, Ingrid Bergman became a star. The film’s director, Gregory Ratoff, said “She is sensational”, as an actress. This was the “sentiment of the entire set”, writes Life, adding that workmen would go out of their way to do things for her, and the cast and crew “admired the quick, alert concentration she gave to the direction and to her lines”. Film historian David Thomson notes that this would become “the start of an astonishing impact on Hollywood and America”, where her lack of makeup contributed to an “air of nobility”. According to Life, the impression that she left on Hollywood after she returned to Sweden, was of a tall (5 ft. 9 in.) girl “with light brown hair and blue eyes who was painfully shy, but friendly, with a warm, straight, quick smile”. Selznick appreciated her uniqueness, and with his wife Irene, they remained important friends throughout her career. Her early American film work presented Bergman as a woman of virtue. She played a devoted governess in Adam Had Four Sons (1941) and portrayed a loyal wife in Rage in Heaven (1941). In 1942, Bergman gave a stellar performance as a woman torn between two men played by Humphrey Bogart and Paul Henreid during wartime in Casablanca. Her character, Ilsa Lund, puts the good of a political resistance movement ahead of her own heart in this popular film. Several films later Bergman became a star with Casablanca (1942), one of cinema’s most iconic films. In this romantic drama, Bergman played Ilsa Lund, a woman torn between two men (played by Humphrey Bogart and Paul Henreid) during World War II. Now highly sought after, Bergman appeared in a series of critical and commercial successes that included For Whom the Bell Tolls (1943), which was based on Ernest Hemingway’s novel, and the film noir Gaslight (1944). In the latter movie, she starred as a woman whose husband (Charles Boyer) attempts to drive her mad, and her performance earned her an Academy Award for best actress. After the onset of World War II, Bergman “felt guilty because she had so misjudged the situation in Germany” while she was there filming Die vier Gesellen (The Four Companions). According to one of her biographers, Charlotte Chandler (2007), she had at first considered the Nazis only a “temporary aberration, ‘too foolish to be taken seriously’. She believed Germany would not start a war.” Bergman felt that “The good people there would not permit it”. Chandler adds, “Ingrid felt guilty all the rest of her life because when she was in Germany at the end of the war, she had been afraid to go with the others to witness the atrocities of the Nazi extermination camps”. Ingrid played the role of Maria in ‘For Whom the Bell Tolls’ (1943) which was her first color film. The movie was based on Ernest Hemingway’s novel of the same title, and Hemingway had insisted that only Bergman should play the role of “Maria” as he was much impressed by the actress’s skills. Ingrid Bergman often collaborated with Alfred Hitchcock and appeared in several of his films including ‘Spellbound’ (1945), ‘Notorious’ (1946), and ‘Under Capricorn’ (1949). Her portrayal of Alicia Huberman in ‘Notorious’ was critically acclaimed. In 1944 Ingrid won the Academy Award for Best Actress for ‘Gaslight’, a film in which George Cukor directed her as a “wife driven close to madness” by co-star Charles Boyer. The film, according to Thomson, “was the peak of her Hollywood glory”. Working with Alfred Hitchcock, Bergman starred in two of his thrillers: Spellbound (1945) with Gregory Peck, and Notorious (1946) with Cary Grant. She was especially praised for her portrayal of a spy in Notorious, which is considered one of her greatest performances. Movie-goers also loved Bergman in more heart-lighted fare. In 1945, she played a nun opposite Bing Crosby in The Bells of St. Mary’s. Bergman received another Oscar nod for her portrayal of a nun in The Bells of St. Mary’s (1945). During this time she also earned acclaim for two thrillers directed by Alfred Hitchcock: Spellbound (1945), in which she played a psychiatrist attempting to help an amnesiac patient (Gregory Peck), and Notorious (1946), an espionage drama that co-starred Cary Grant. Bergman continued to show her impressive range by playing the titular character in Joan of Arc (1948), for which she received her fourth Academy Award nomination. A scandal ensued a U.S. senator notably called her “a horrible example of womanhood and a powerful influence for evil” and Bergman was banned in Hollywood. She returned to Europe, where she appeared in Italian and French films such as Europa ’51 (1952; The Greatest Love) and Viaggio in Italia (1954; Journey to Italy). After being away from Hollywood for a while, she returned to American films with a starring role in ‘Anastasia’ (1956). In the film ‘Anastasia’ (1956), she stars as a woman who may or may not be a long-lost member of the Russian royal family. For her performance in Anastasia, Bergman won her second Academy Award. Other film roles soon followed, including the 1958 romantic comedy Indiscreet with Cary Grant. Bergman made her first post-scandal public appearance in Hollywood in the 1958 Academy Awards when she was the presenter of the Academy Award for Best Picture. She was given a standing ovation after being introduced by Cary Grant as she walked out onto the stage to present the award. She continued to alternate between performances in American and European films for the rest of her career and also made occasional appearances in television dramas such as The Turn of the Screw (1959) for the Ford Startime TV series for which she won the Emmy Award for Outstanding Single Performance by an Actress. She was more active on the stage during the 1960s and appeared in the film ‘Cactus Flower’ (1969), with Walter Matthau and Goldie Hawn after a long hiatus away from the screen. In 1974, Bergman picked up another Academy Award for her supporting role in ‘Murder on the Orient Express’. This film adaptation of an Agatha Christie mystery also featured Albert Finney, Lauren Bacall, and Sean Connery. Around this time, Bergman was diagnosed with breast cancer. She continued to work, despite her battle with the disease. However, most agree that her greatest performance in her later years was as a concert pianist in the Swedish film Höstsonaten (1978; Autumn Sonata), directed by Ingmar Bergman; she received her seventh and final Academy Award nomination for the drama. Her last role was that of Golda Meir, the Israeli prime minister, in the television play, A Woman Called Golda (1981). For this role, she was posthumously awarded an Emmy Award in 1982. In 1940 she made her Broadway debut in Liliom. She later appeared in such critically acclaimed plays as Hedda Gabler (Paris, 1962), A Month in the Country (Great Britain, 1965), and Captain Brassbound’s Conversion (London, 1971). She won a Tony Award for her performance in Joan of Lorraine (1946–47), and her last Broadway appearance was in The Constant Wife (1975). She also starred in the television plays The Turn of the Screw (1959) and Hedda Gabler (1963). Ingrid Bergman won the Academy Award for Best Actress for her roles in ‘Gaslight’ (1944) and ‘Anastasia’ (1956). Ingrid also won the award for Best Supporting Actress for ‘Murder on the Orient Express’ (1974). 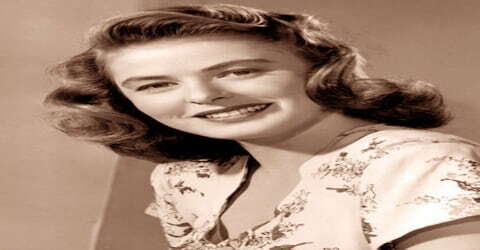 She was the recipient of four Golden Globe Awards, including Golden Globe Award for Best Actress in a Leading Role for ‘The Bells of St. Mary’s’ (1945), Golden Globe Award for Best Actress in a Motion Picture Drama for ‘Anastasia’ (1956), and Golden Globe Award for Best Actress – Miniseries or Television Film for ‘A Woman Called Golda’ (1982). 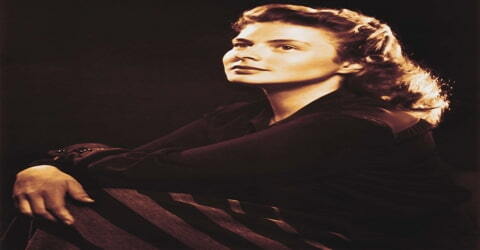 Ingrid Bergman died in 1982 on her birthday August 29 in London, England, of breast cancer, at the age of 67. Her body was cremated at Kensal Green Cemetery, London, and her ashes taken to Sweden. Most of them were scattered in the sea around the islet of Dannholmen off the fishing village of Fjällbacka in Bohuslän, on the west coast of Sweden, where she spent most of the summers from 1958 until her death in 1982. The rest were placed next to her parents’ ashes in Norra Begravningsplatsen (Northern Cemetery), Stockholm, Sweden. Bergman left behind an array of wonderful performances in more than 50 movies, including the revered classic Casablanca. Two of her daughters followed her into the public eye: Pia Lindstrom became a television reporter and actress, and Isabella Rossellini has enjoyed an extensive career as an actress. After her American film debut in the film Intermezzo: A Love Story (1939), co-starring Leslie Howard, Hollywood saw her as a unique actress who was completely natural in style and without the need of make-up. Film critic James Agee wrote that she “not only bears a startling resemblance to an imaginable human being; she really knows how to act, in a blend of poetic grace with quiet realism”. There was a time in the early and mid-1940s when Bergman commanded a kind of love in America that has been hardly ever matched. In turn, it was the strength of that affection that animated the “scandal” when she behaved like an impetuous and ambitious actress instead of a saint. My Story (1980) is her autobiography with alternating sections by Alan Burgess. In it, she discusses her childhood, her early career, her life during her time in Hollywood, the Rossellini scandal, and subsequent events. 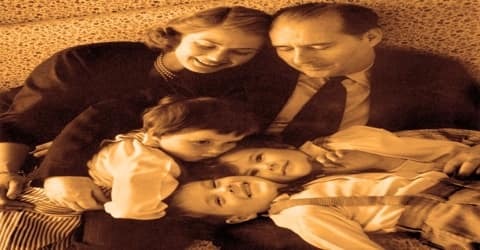 The book was written after her children warned her that she would only be known through rumors and interviews if she did not tell her own story. It was through this autobiography that her affair with Robert Capa became known.